A very well deserved car for COTM...One could only imagine what he would have accomplished next with this car. R.I.P. Silverside and congratulations on COTM! This is shocking to hear. He was a Great guy. I still remember seeing him at the car meet in fort Smallwood. I remember all the 3g guys were helping me fix my eclipse when it broke down in the parking lot. David and another 3g member were the last to leave when i call the tow truck. He took the time to contact me and help me fix the problem with the car. The next day the car was running thanks to David. He really inspired all of us. r.i.p silverside..you pushed the progression of the 3g more then alot of people have. You'd of been better off posting this in the 3.8L 6G75 Swap Discussion thread. This thread is about David's car and also a place to give your condolences on his passing away. I'm in shock guys, I started reading this thread from beginning and I was really interested on his build. I wanted to congratulate him for the amazing job he was doing, that car was looking awesome, and as I kept reading I sadly found out about David's death. I'm not an active member, but I do read threads and I've seen some posts by Silverside, still those few posts I saw were enough to make me sympathized with him, and guys I don't know why but I feel sad, maybe is because this website makes me feel like at home and you guys are like my family. So yeah this does affect me. David, wherever you are rest in peace, we will always remember you and everything you accomplished for the 3G community. Im in the same boat as Juanchiselo. As i read this thread i felt sadness come over me. I wish i could have meet him but through this forum & the people that know him his spirit will live on. R.I.P David K. My condolences to his family. Yes i joined in '08 so wat i know how to SEARCH. I don't mean to awaken an old post like this. but i"ve seen this mitsubishi before around the waldorf area i live in. I watched from pages 1 to 3 and saw what happened to the fellow its sad that one day it came across to me when i asked myself " i wonder what ever happened to that silver eclipse?" i'm glad i heard it running around. R.I.P silverslide, i never met you but just seeing your sleeper into what you really made, is an honor at most. I know that ive never met u and will never get to meet a true 3G legend but I've been in my R&D stage for the 75 swap and came across this thread and I want to pm u so badly about all the info to help me out the best u could.. And to find out that ur life was taken so abruptly is tragic in so many ways my words could never describe my feelings for the loss of u to this community.. Better yet family like others have posted.. bro you will be greatly missed by all who new you and for future 3G members... I will be going thru with my 6G75 swap just as u did in your memory and when I'm finished I will dedicate the build in your name... You truly were a 3G pioneer in this club, ad even though I'll never talk to u in this life With all the questions I have on this build I know that you will guide not only me but us all in this community in some way... R.I.P David K. "A true 3G genius"
Last edited by BloodThrstyGT; 03/19/2012 at 10:45 AM. Just wanted to bump this thread to remind everyone what a great guy he was. RIP. I read through this thread. I'm fairly new to this forum, but seeing what this guy did, plus all The member stories, and the fact that he has now received cotm on the 3G and 4g sites, I want to give my condolences, pay my respects, express my disappointment that I joined too late, and bump this amazing thread. 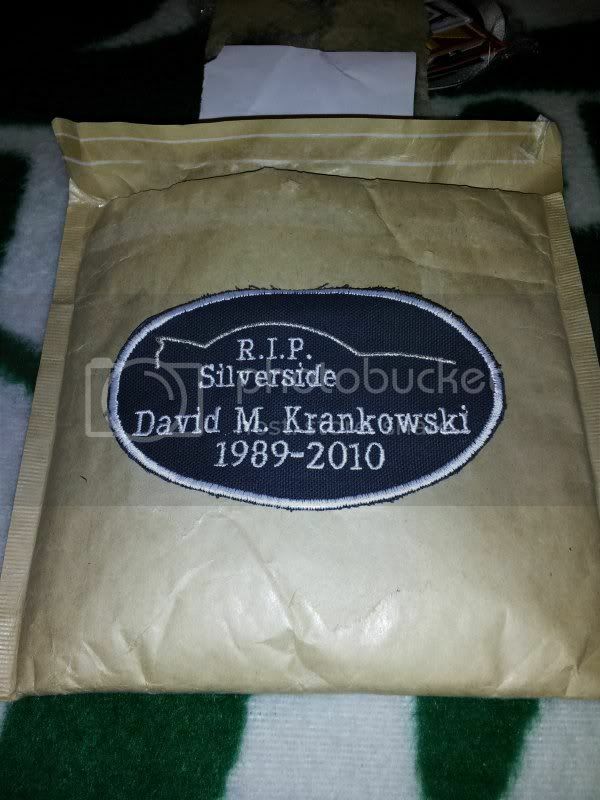 Still very sad, and I do still have Memorial patches if anyone would like some. Wow, I was reading through this thread, just looking at the pictures of this guy's sweet car. Never did I thought at the end of it I would read what I did. I am so sorry I never got to meet this guy.